Mr. Douglas is a tennis lover as result of which he wanted a community site for tennis freaks. 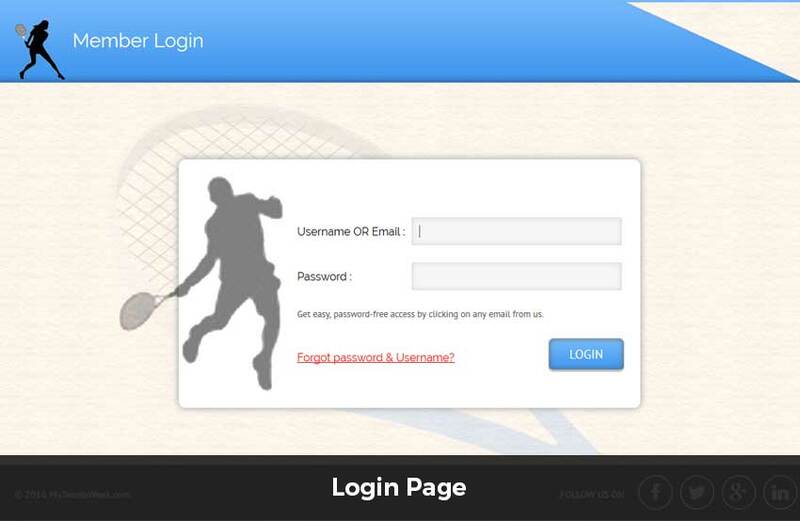 He wanted a social site in which tennis lovers can register to the system and can search for other tennis players in their location to arrange a tennis match. 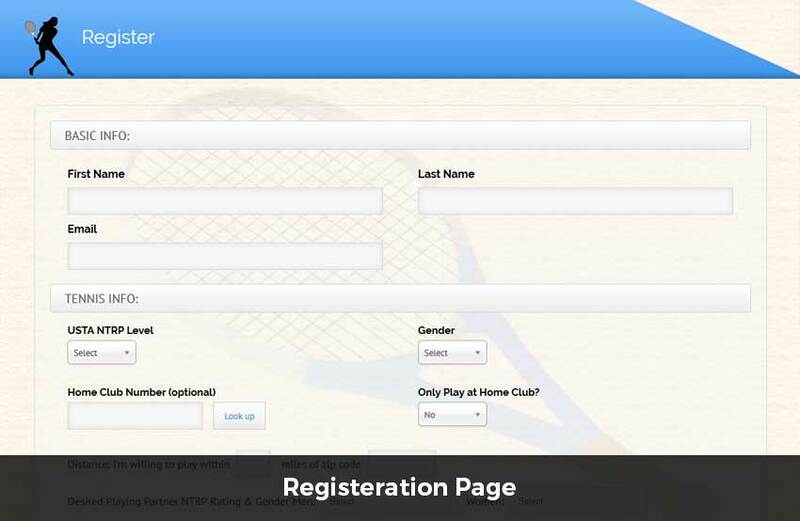 People who like to play tennis can register to the portal by entering their gender, NTRP level, home club preferences, default distance preferences, gender of the playing partner and default NTRP level of the playing partner. Once logged in to the system they can enter their desired playing time for each day, along with their desired playing partner characteristics, desired location, and desired type of play (e.g. singles, doubles, or just hit). 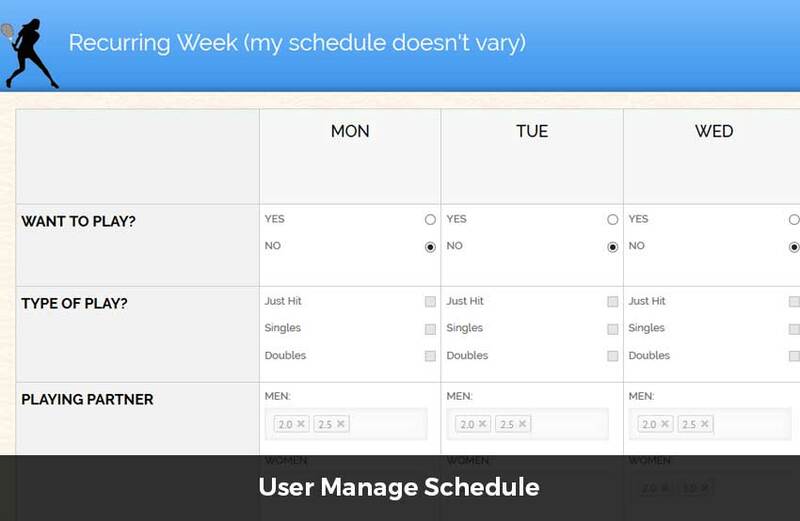 They can make their schedule a weekly recurring or select it to be specific to each of the next 10 days. 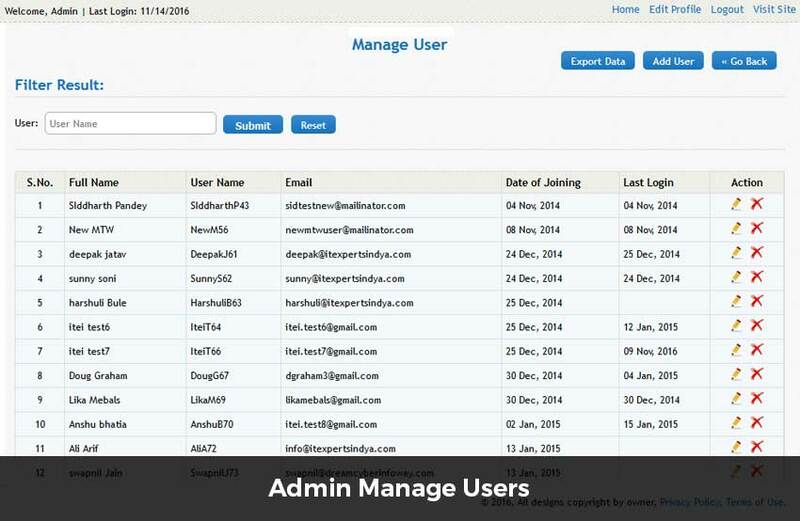 They can manage all these preferences using a user friendly calendar view. They can also block the users permanently or for a given interval of time. 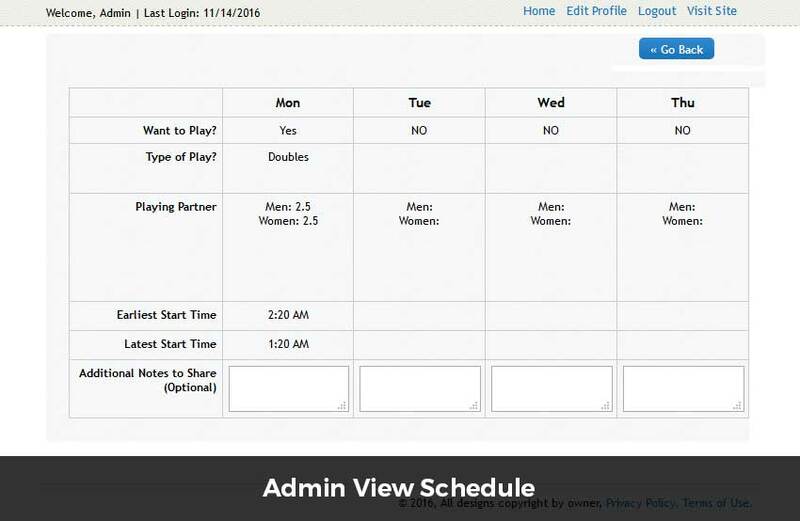 As soon as they enter their preferences a matchching algorithm is executed and they are redirected to a page where they can view number of the matches of a particular day or date in a calendar view. 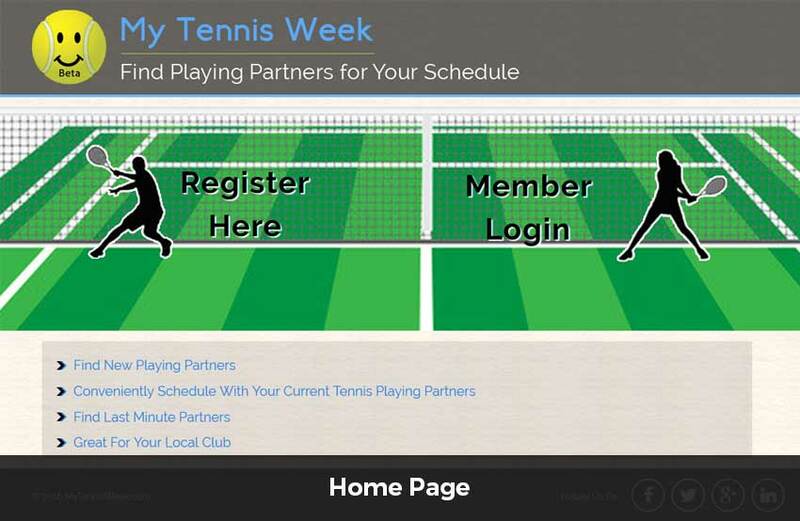 The users can also invite their friends to join the website to schedule tennis matches. A custom algorithm is executed on daily and weekly basis to send match up notifications depending upon the preferences of the users. If a user has opted for daily notification then daily a matchup email is sent to them otherwise a single email is sent per week which contains all the match ups. 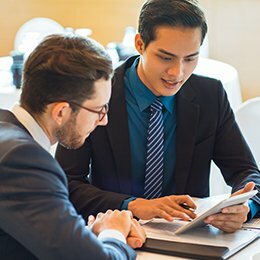 The algorithm loops the data of every user in the database and compare thier preferences with other users and if a match up us found an email is sent. 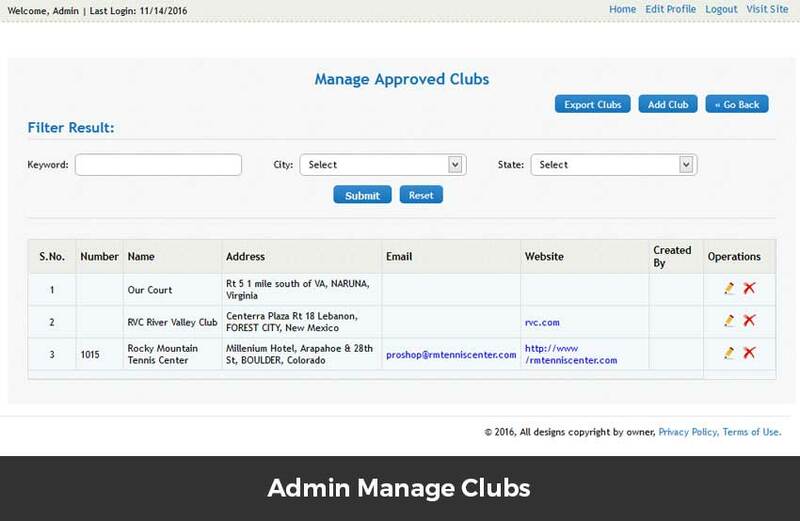 The users can click on a link sent in the email to accept or reject the match offer.